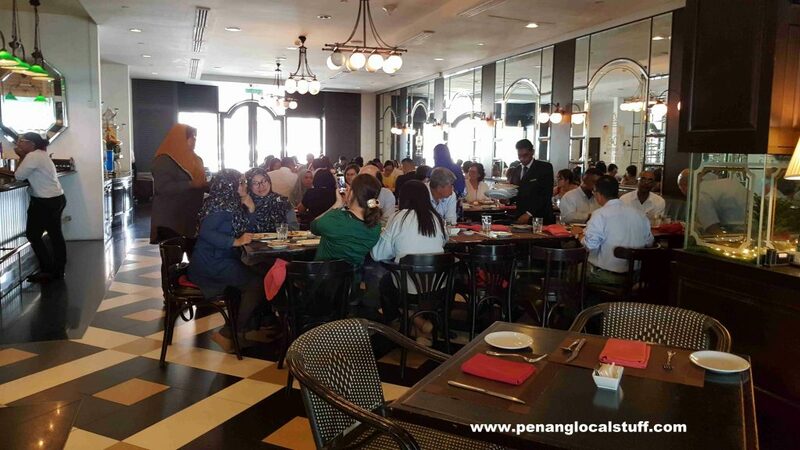 I was attending a conference at E&O Hotel (Eastern & Oriental Hotel) last week (3 April 2018), and had buffet lunch at the hotel’s Sarkies Restaurant. 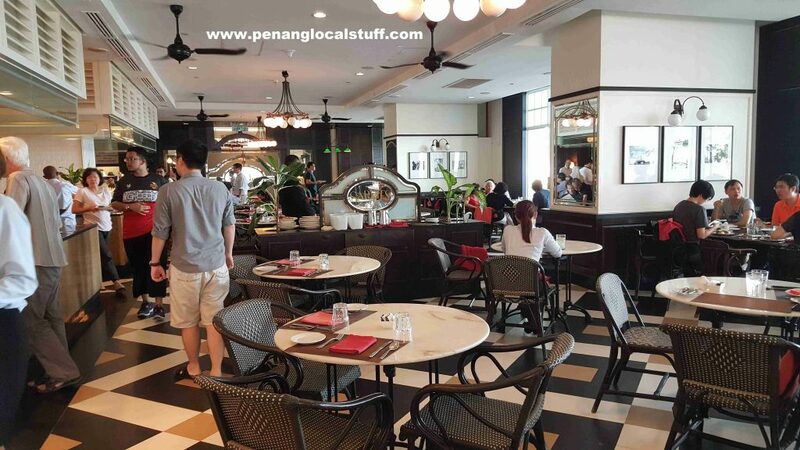 The restaurant is located in E&O Hotel’s Victory Annexe wing. 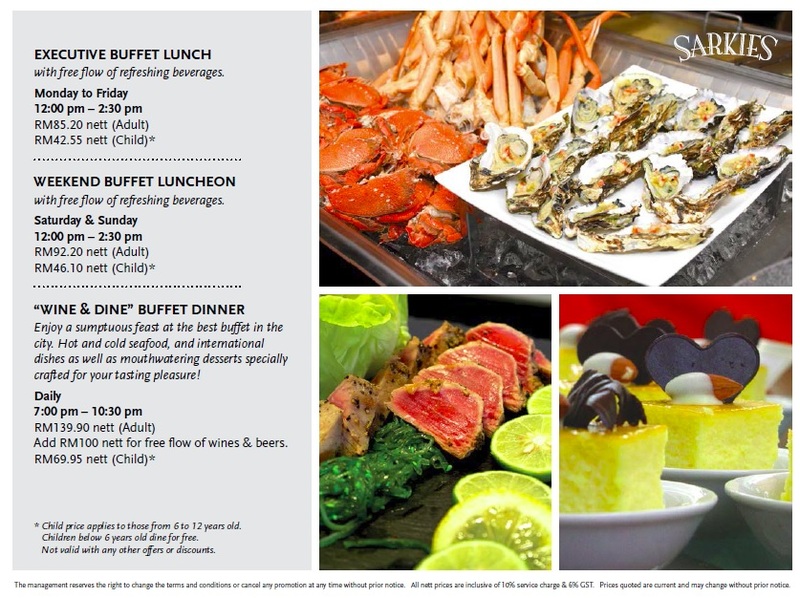 The lunch buffet at Sarkies Restaurant has an excellent variety of food. 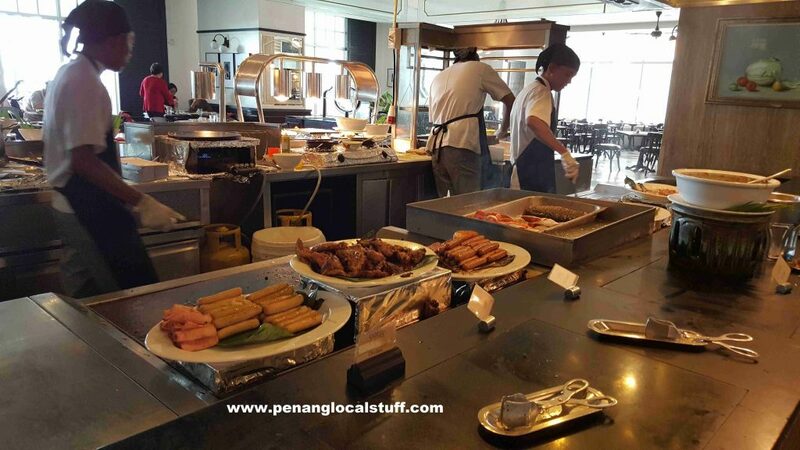 There were cold seafood, sushi, salad, fruits, chicken, beef, lamb, roasted duck, fried rice, spaghetti, soup, ice cream, cendol, coffee, and many more. There were a couple of teppanyaki stalls where customers can get lamb, hot dog, salmon, and mackerel fish. There were also char koay teow and soup noodles stalls. 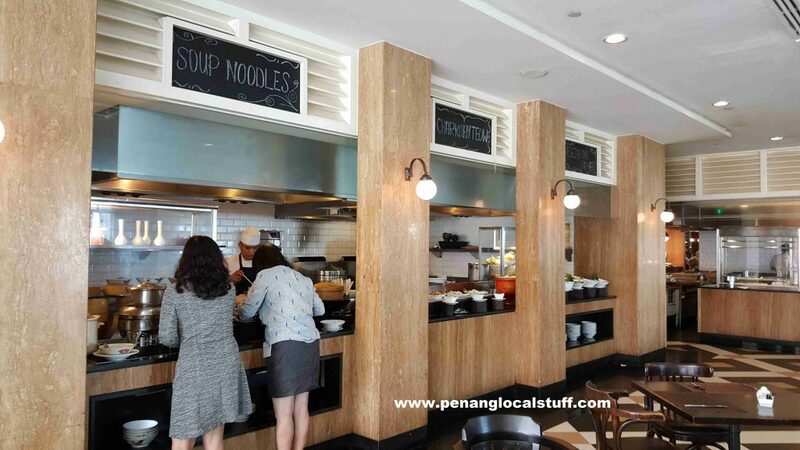 The restaurant is quite spacious, with ample tables for customers. 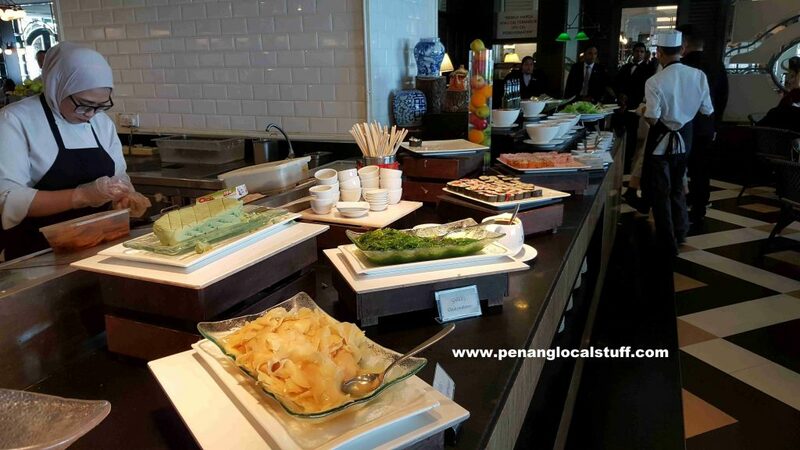 Overall, I was impressed with the variety of food at the Sarkies Restaurant buffet lunch. 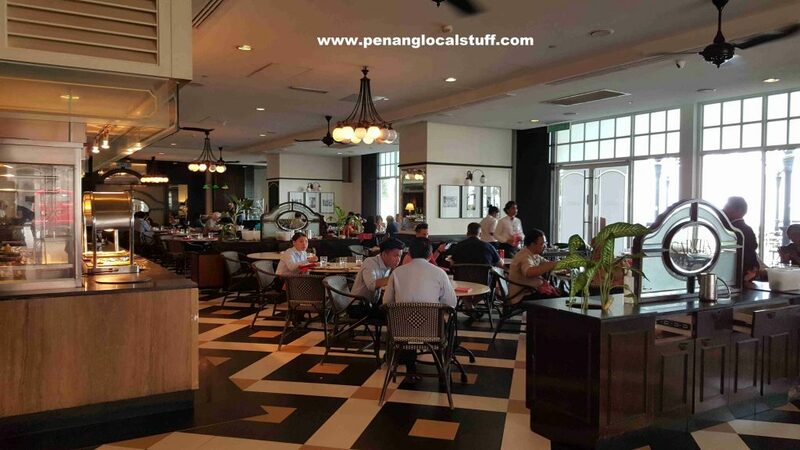 Looking up Sarkies Restaurant’s price list for April 2018, the Executive Buffet Lunch (available Monday to Friday) costs RM85.20 nett for adults, and RM42.55 nett for children (aged 6 to 12 years old). 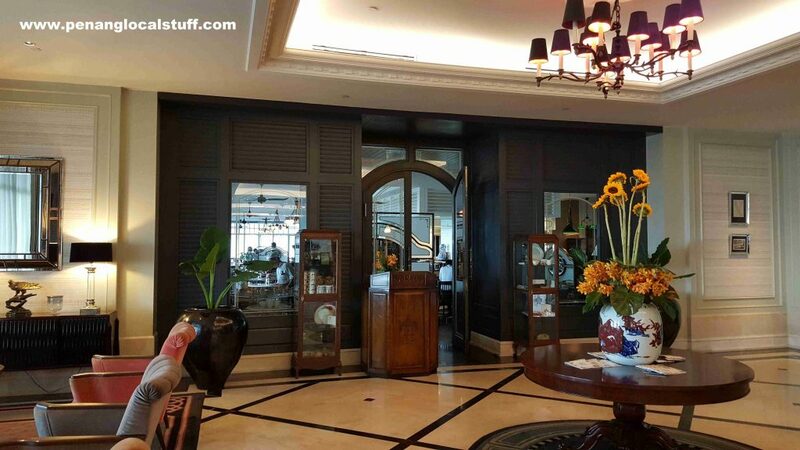 i want to booking buffet lunch for 4 person. 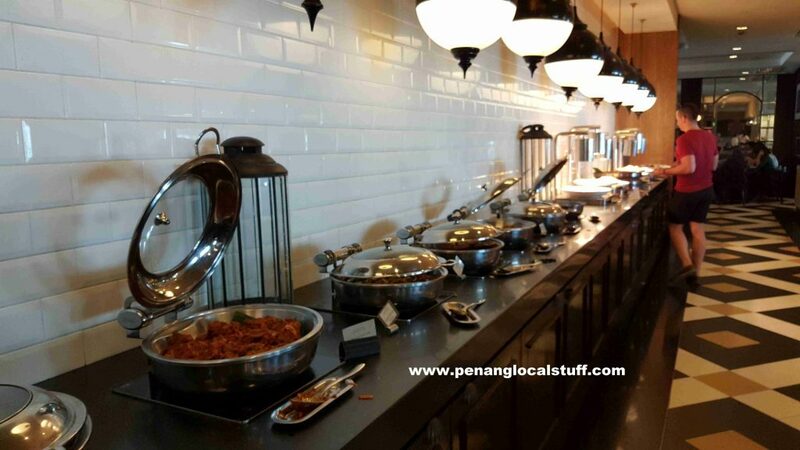 Hi Carrol, you may call E&O Hotel Penang to reserve (Tel: 04-222 2000). 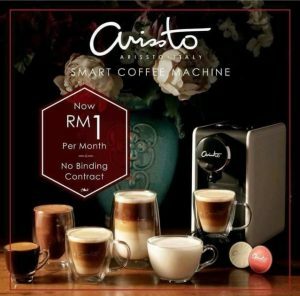 This website is not affiliated to E&O Hotel. I am just sharing what I know about the restaurant.